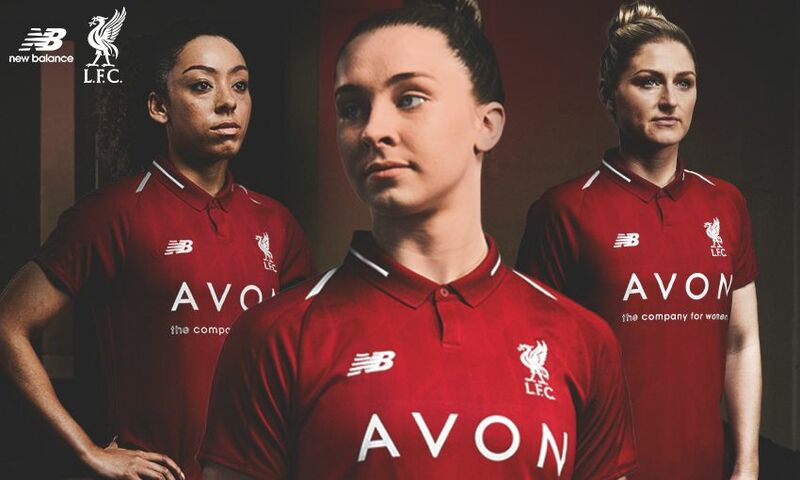 Liverpool Ladies' New Balance home kit for the 2018-19 season was revealed today and fans can now pre-order the strip ahead of its release on Friday May 11. The shirt, shorts and socks for next term retain the retro styling and deeper red colour scheme of the current design, which celebrates the club’s 125th anniversary year. A tipped two-button polo collar has been reintroduced to make the shirt even more wearable, while its front features linear stripes inspired by the landmark architecture of the redeveloped Main Stand at Anfield. Pre-order the kit in store or online now for guaranteed worldwide delivery on May 11. Junior sizes are also available. Ladies captain Gemma Bonner said: “Wearing a shirt as famous as ours fills the team with immense pride. As Reds, wearing the Liver bird on our chest means more to us than you could even imagine. The club will surprise 30 supporters who pre-order any 2018-19 home shirt, selecting them at random to receive their kit for free. Fans who pre-order a new home shirt will also receive a £10 Liverpool FC retail voucher to spend in store or online between May 11 and June 30.